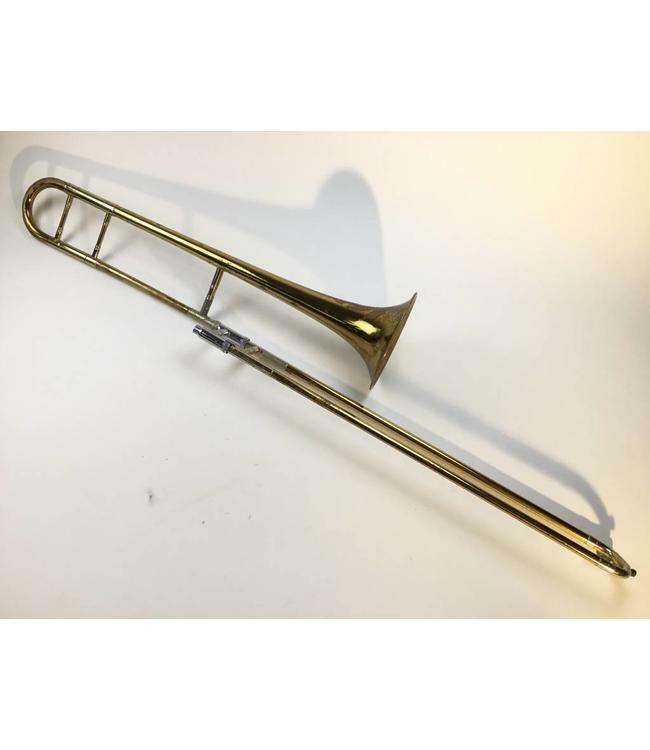 Used 30H Bb Tenor trombone in Lacquer with a 0.494"/.507" hand slide and 7" bell flare. Instrument has heavy lacquer wear and scratches throughout slide and bell flare. The trombone shows signs of previous repairs that have been done on the tuning slide. Used 30H Bb Tenor trombone in Lacquer with a 0.494"/.507" hand slide and 7" bell flare. Instrument has heavy lacquer wear and scratches throughout slide and bell flare. The trombone shows signs of previous repairs that have been done on the tuning slide. Comes with gig bag.